Geosense is a reputable independent geological remote sensing consultancy that has gained global recognition for its top-quality remote sensing services. Over the last 30 years we have built up a unique experience in the use of satellite, airborne and ground based remote sensing technology and interpretations for both mining and mineral exploration, as well as O&G exploration. Alteration mapping and target generation using spectral information from satellites (e.g. 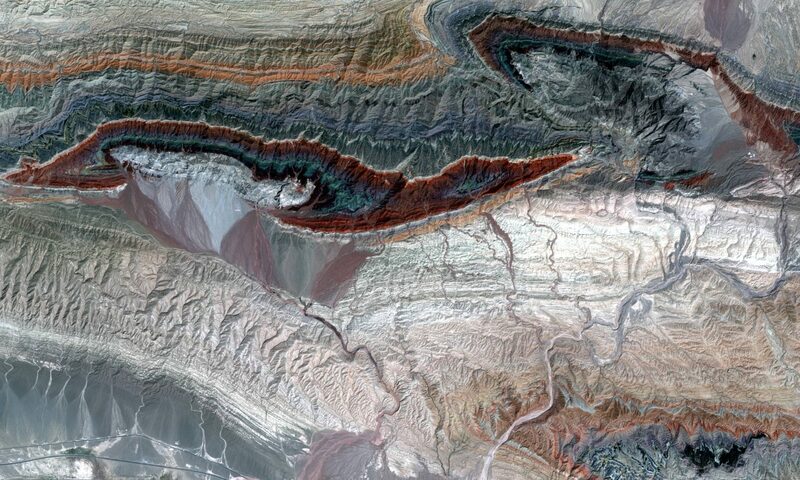 Landsat, Aster, WorldView3, Sentinel), aircraft (hyperspectral imaging) and portable infrared spectroscopy (field mapping and core logging) provides a very powerful tool both at a regional scale for the identification of alteration systems and at project scale for the accurate mineralogical mapping and understanding of individual targets. While spectral mapping techniques can be highly effective for detection of exposed alteration, there are many situations where this is not the case. There are many situations where an orebody is located at such depth that its alteration halo does not reach the surface, hence not detectable with spectral methods. Also, there are major parts of the world where the superficial signs of alteration are simply not visible because they are masked by some kind of unrelated blanket, such as dense vegetation, snow, rock debris, alluvium, glacial till, wind-blown material, desert staining, laterites, and so forth. In these cases, it is extremely important to be able to look at indirect indicators, such as lithology, stratigraphy, structure, geomorphology, land-use and vegetation patterns. Remotely sensed images, and their derivatives, such as Digital Elevation Models (DEMs), are very suitable tools to map these features with high accuracy and in great detail. Again, this may be done at a regional scale, using relatively low-resolution imagery, and at prospect scale, using very high resolution data, such as 30cm WorldView-3 satellite imagery, or even Drone imagery, with spatial resolution up to one or two centimeters. The strength of Geosense is that we have an all-round team of experts under one roof, so that we are able cover the complete range of remote sensing services required for optimal support of a mineral exploration project. Get in touch with Geosense to see how we can help you out at your project. Custom made Colour Composites, Ortho-images, Digital Elevation Models, topographic basemaps etc.